Change the way the people in your organization think, behave and interact. With an optimistic tone and a story-telling delivery, our evidence-backed inclusion and diversity training programs engage learners and instill principles that set a solid foundation for ongoing learning that fosters long-term inclusion. Learners at every level in your organization will receive valuable tools and insight based on the intersection between the science of diversity and their own real-world challenges. 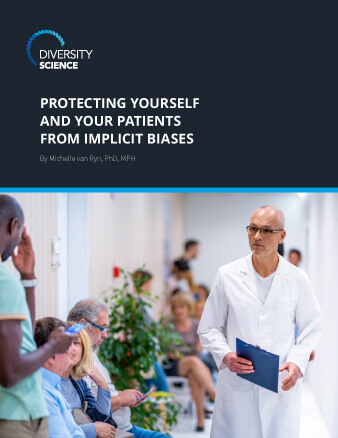 Develop lasting D&I strategies that strengthen patient/caregiver relationships, increase patient and provider satisfaction, and elevate levels of care. Uncover and address the seemingly invisible factors that affect diverse student success. Create a supportive environment for both students and staff. Attract and retain top talent, promote greater employee engagement, and help your organization remain resilient through challenging times.